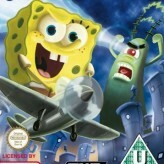 Spongebob and Patrick got shipwrecked in an island inhabitant by strange and scary monsters. Help Spongebob run away in Spongebob Monster Island. Collect crystals, and throw it to the monster, and run as fast as you can. 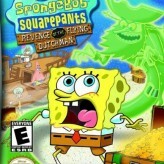 Spongebob Monster Island is an episodic side-scrolling running arcade game featuring the characters from the popular TV animated series from Nickelodeon; Spongebob Squarepants. 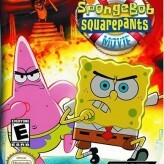 The game features five episodes following Spongebob, Patrick, and Sandy and their adventures in the strange island. Watch the mini clips in between game play and have fun! The game in each episode is “endless” and will only proceed to the next episode if you click on “Next Episode”. There is no victory requirements, and your goal is to accumulate as much points as possible. Have fun. There have been 3,690 plays and 38 likes from 44 votes (87%) since 19/10/2016. You are currently playing Spongebob Monster Island game for free on Arcade Spot. It is a single game out of a variety of games that you can play on Arcade Spot. 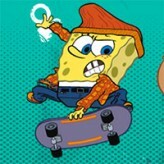 Play more games like Spongebob Monster Island in the Adventure, Anime, Arcade, and Running gaming categories. This game has a rating of 87 out of 100 based on 44 user ratings. If you enjoyed playing the game, give it a thumbs up. Free Online Games and Arcade Games are added every day. Arcade Spot will bring you the best games without downloading and a fun online gaming experience on the internet.